Recommended For: Readers looking for a mermaid tale focusing more on friendship than romance. Luce has hard life, she tries her best to fly under the radar and keep away from her abusive uncle as much as she can. Unfortunately, Luce is unable to stay invisible for long and she is abused to a breaking point and she decides to leave her “before” life forever. As she is running Luce falls and plummets off a high cliff into the icy water below. Instead of dying, however, Luce starts to transform. Soon after she is found by a group of mermaids that explain that she is a mermaid as well and has been turned into one because of the horror she experienced in her life as a human. Luce begins learning the ways of the mermaid life and finds that she has one of the most beautiful voices any of the mermaids have ever heard. This is both a great compliment and a source of anxiety for Luce as a mermaids voice is also her weapon. Part of the mermaid lifestyle is to sing their beautiful song, making ship passengers become enraptured so they crash or fall to their death. Luce doesn’t want to hurt anyone but she fears rejection from her new family so she faces a very hard choice on how to live her new life. This novel is a new twist on a somewhat warped coming of age story. Luce begins finding herself after a traumatic event spirals her into what she believes is a point of no return. A refreshing difference in this novel is that there is no romantic relationship; it is not a story that centers on a romance. Instead,the relationships are between the girls in the mermaid tribe and many characters are fleshed out enough that you learn to appreciate their individual characteristics. 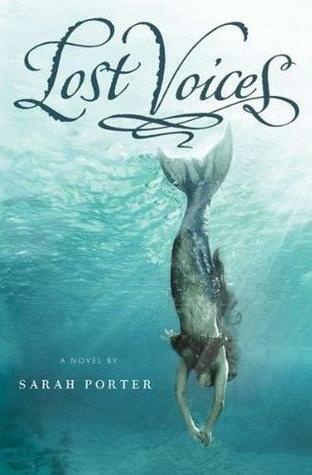 Sarah Porter’s debut novel is the first in a very promising new series; I can’t wait to see how Luce’s choices in Lost Voices affect her new life as a member of the mermaid tribe. 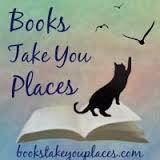 This entry was posted in Reviews, Young-Adult and tagged fairy tales, fantasy, magic, mermaids. Bookmark the permalink.